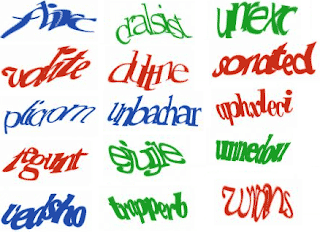 Most people have encountered Captchas even if they don't know it. They're the random, distorted letter or number combinations found on many websites. Captchas are commonly used on "contact us" and credit card purchase forms -even E-mail providers like Gmail and social media sites like Facebook ask you to complete one when you enter the wrong password one too many times. They're great for securing information and preventing computer hackers from wreaking havoc on websites. The basic premise is that if you can effectively type the Captcha you're human. They've been around for the last decade and have become increasingly more complex to stay a step ahead of wily hackers. Pesky, yes, but also necessary. 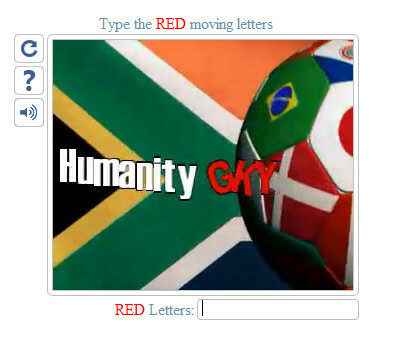 Now, Leap Technologies has released NuCaptcha. NuCaptcha technology uses streaming video clips in addition to letter combinations and asks Internet users to pick out the letters in red while watching the video clip. According to Leap Technologies, NuCaptchas are more secure than their predecessor. For now, they make keep hackers at bay, but for long it remains to be seen. Visit the Nucaptcha site to learn more or check out a demo.